Sticky sweet and full of flavor! 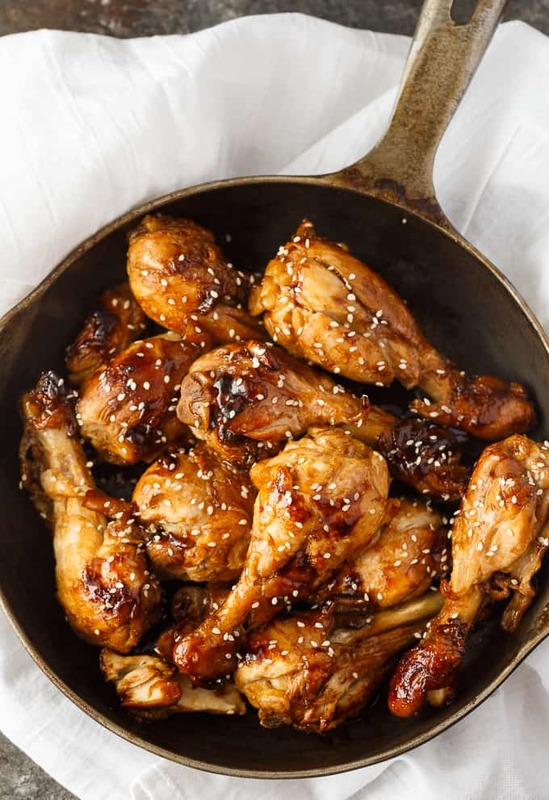 Sticky Chicken is an easy chicken recipe cooks in one pan and the sauce is finger lickin’ good. The snow is finally melting and the first signs of spring are here. For me that means I want to spend more time outside and less time in the kitchen cooking. 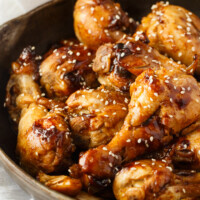 I want easy and flavorful recipes and one of the best ones I know is this yummy recipe for Sticky Chicken. 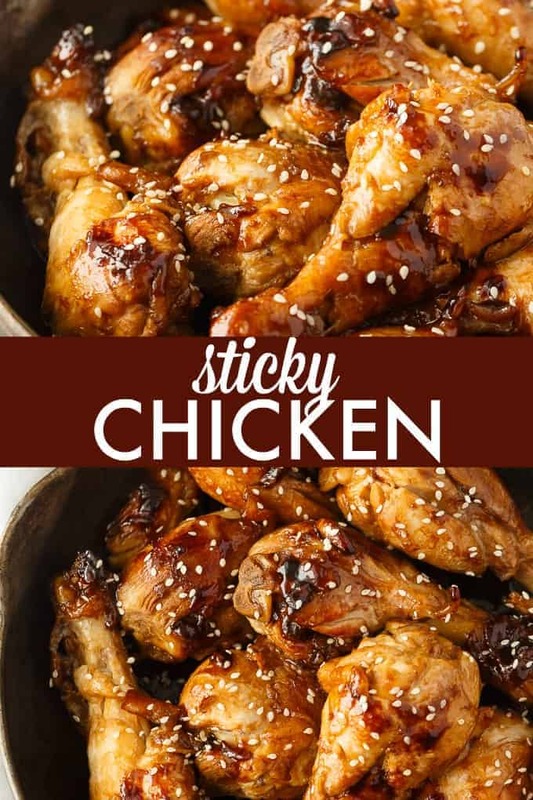 Sticky Chicken can be made with any cut of chicken. I wanted a cut with skin on it so I choose chicken drumsticks. They are both economical and always turn out delicious. You could also make this recipe with chicken wings or chicken thighs. Both would be equally yummy! Trust me, you’ll want to sop up all that sticky sauce. When I’m shopping for chicken, I look for the Raised by a Canadian Farmer logo. Why? A few different reasons. The first reason is that it lets me know where my chicken comes from. I want to support Canadian farmers so I only want to buy Canadian chicken. It also tells me that the chicken I’m feeding my family is top quality. Canadian chicken is grain-fed, free of added hormones and steroids and raised according to nationally-set, high food and safety animal care standards. If you don’t see the logo on your packages of chicken, ask for it! Talk to the store management and put pressure on them to include it on their packaging. Another handy tip for you when you are out grocery shopping is to get the Chicken Farmers of Canada grocery app. 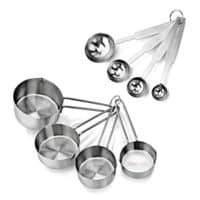 It will help you organize your shopping list and discover new recipes. I’ve been using it for years and love it. The first step is to get your sauce ingredients. Add soy sauce, vinegar, paprika, dry mustard, sugar and oil to a large pan and stir to combine. Place the chicken drumsticks in the pan. Pour water on top. Bring the pan to a boil. Boil it vigourously until the water has reduced by half. Reduce the heat to medium and continue to turn the chicken frequently until cooked through. 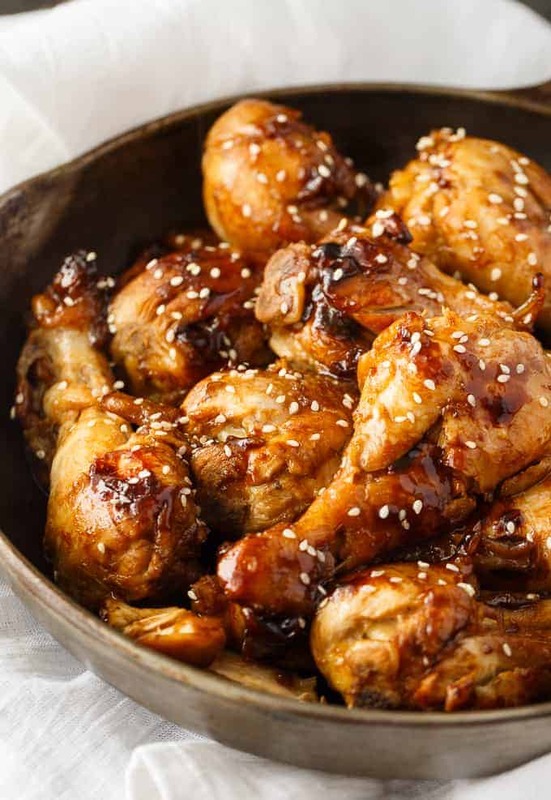 Sticky Chicken pairs beautifully with rice. You can soak up more of that yummy sauce with the rice. Another idea is a a fresh tossed salad. So good. The Chicken Farmers of Canada has a recipe section on their site. You’ll want to check out the ideas in the BBQ sauces and rubs for your spring chicken. 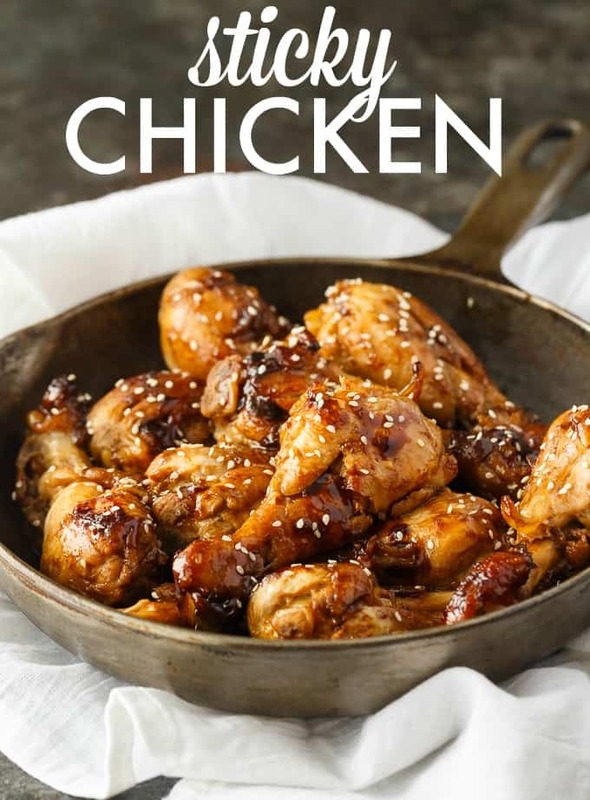 I also have some chicken recipes you might like! No Peek Chicken – An easy to prepare, fuss-free chicken and rice dinner your family will love. Russian Chicken – Sweet and tangy! This easy dinner recipe has a flavorful sauce made with Russian dressing, onion soup mix and apricot jam. Serve on a bed of rice for a delicious family meal. Sour Cream Chicken Bake – Creamy, cheesy comfort food. This easy chicken casserole is smothered in a rich sour cream sauce and loads of cheddar cheese. Oven Baked Chicken Wings – The BEST wing recipe ever! 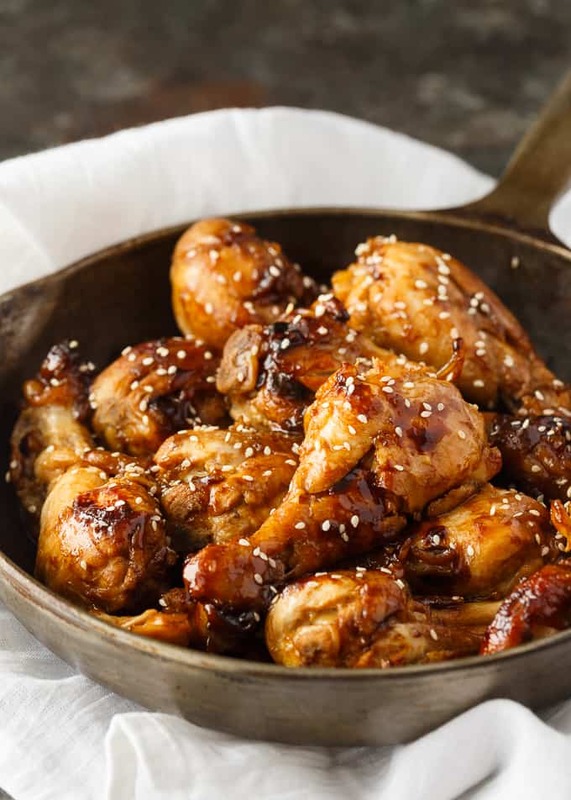 Juicy chicken wings are oven baked in a flavorful honey garlic sauce. Low Carb Chicken Divan – You won’t even miss the carbs! This comforting casserole has a creamy sauce made with chicken, broccoli, cheddar cheese and cauliflower rice. Don’t forget to join the #NoNakedChicken Twitter party on Thursday, April 25th at 9pm EST. Prizes include a Grill Chef 3-burner BBQ, Wood Burning Fire Pit and Indoor and Outdoor Bluetooth Speaker. Connect with the Chicken Farmers of Canada on Facebook, Twitter, Pinterest and Instagram. Sticky sweet and full of flavor! This easy chicken recipe cooks in one pan and the sauce is finger lickin' good. Add soy sauce, vinegar, paprika, dry mustard, sugar and oil to a large pan and stir to combine. 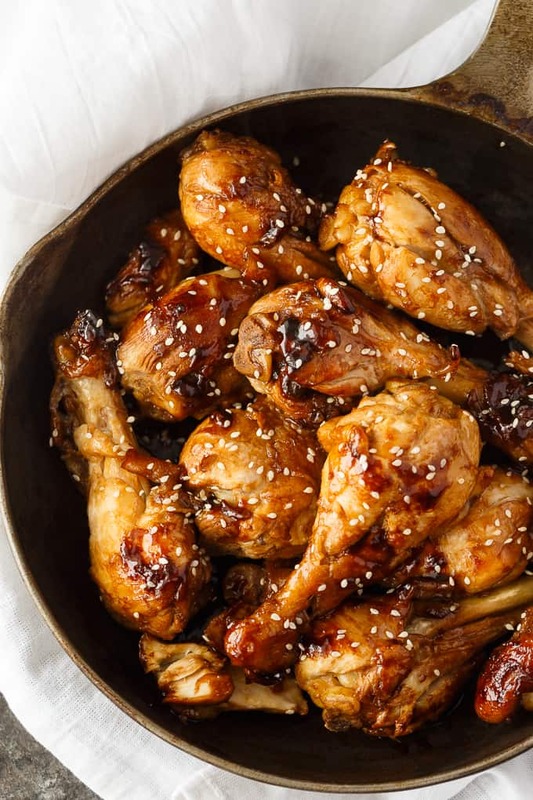 Place chicken drumsticks in pan. Pour water on top. Bring to a boil. Boil until water has reduced by half. Reduce heat to medium. Continue to turn the chicken frequently until cooked through.